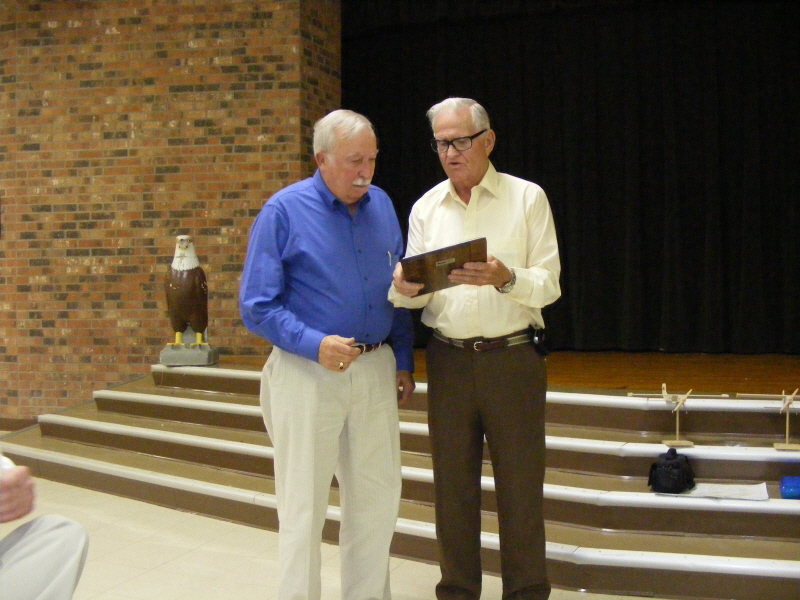 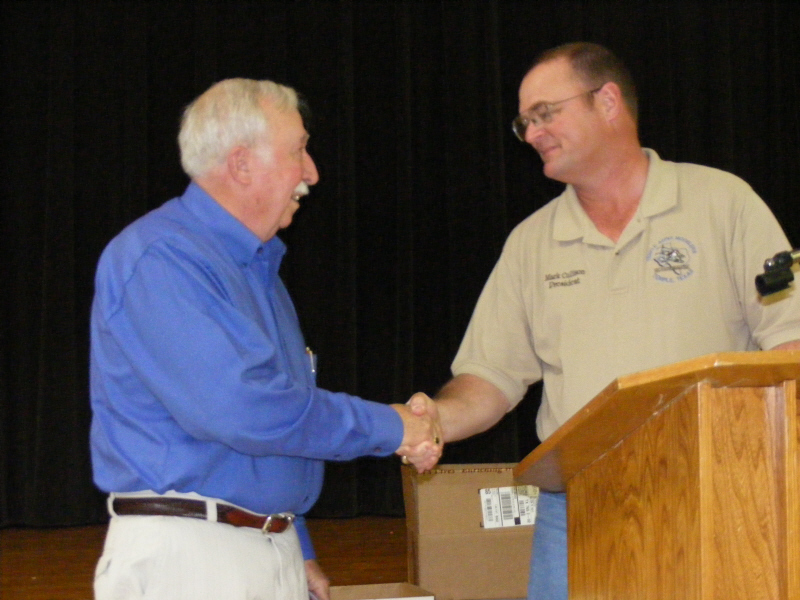 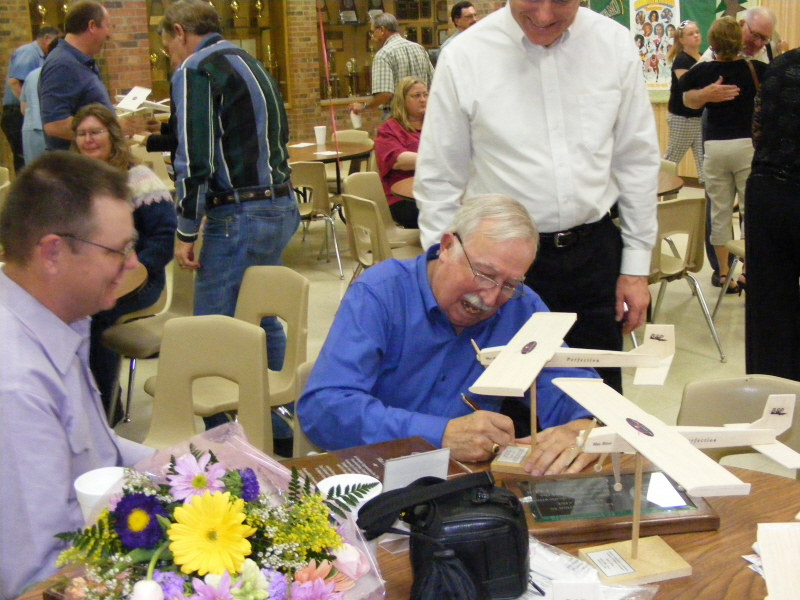 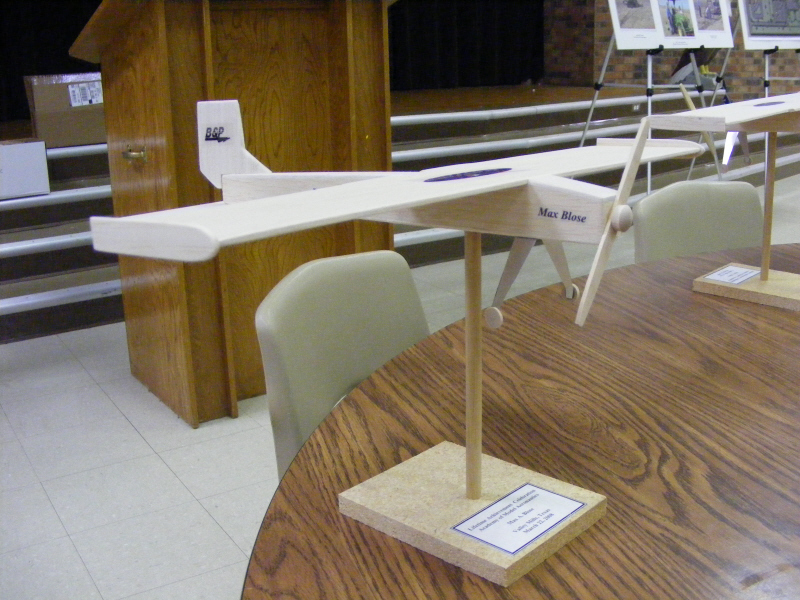 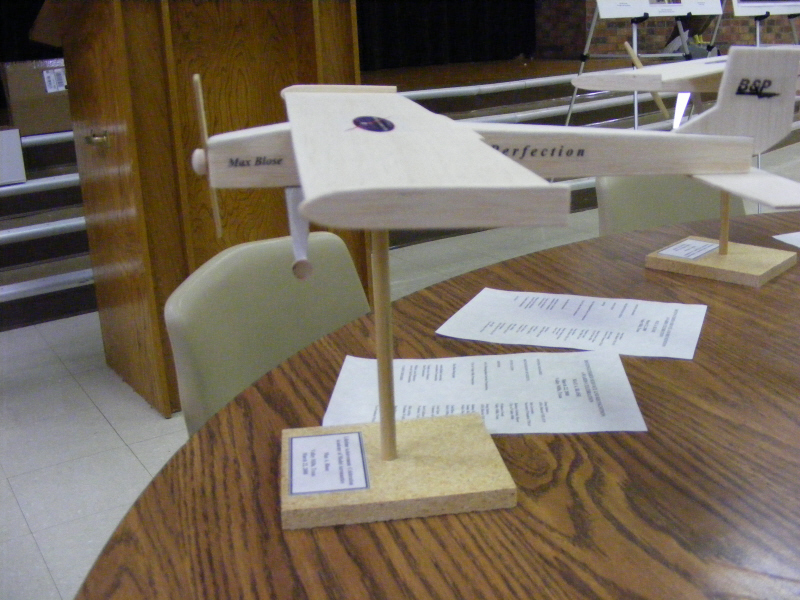 On March 22nd 2008Texas Model Aeronautics Foundation held a surprise dinner for Max Blose. 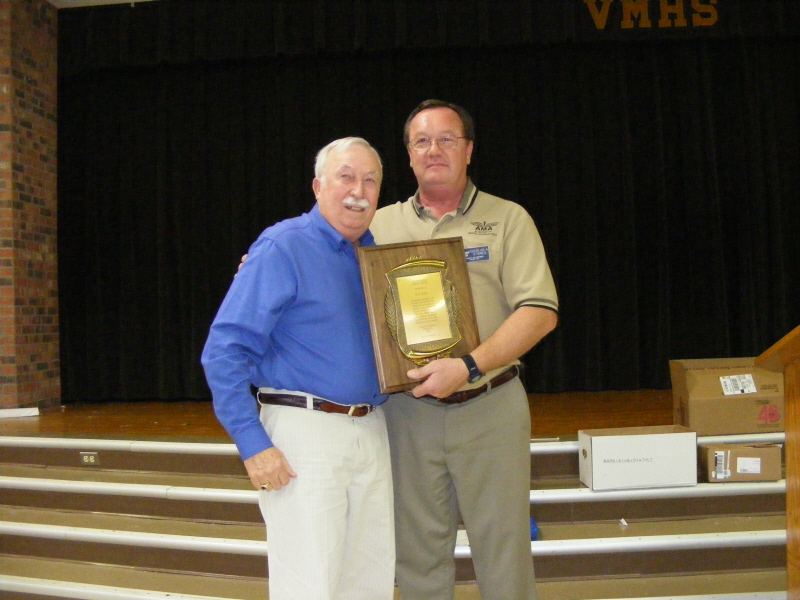 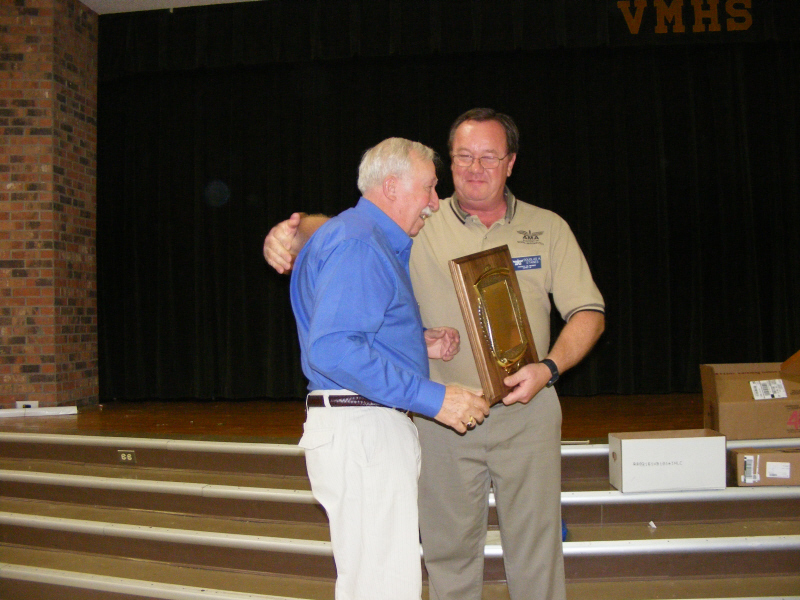 Doug Staines, AMA District VIII AVP, awarded Max with the AMA Distinguished Service Award. 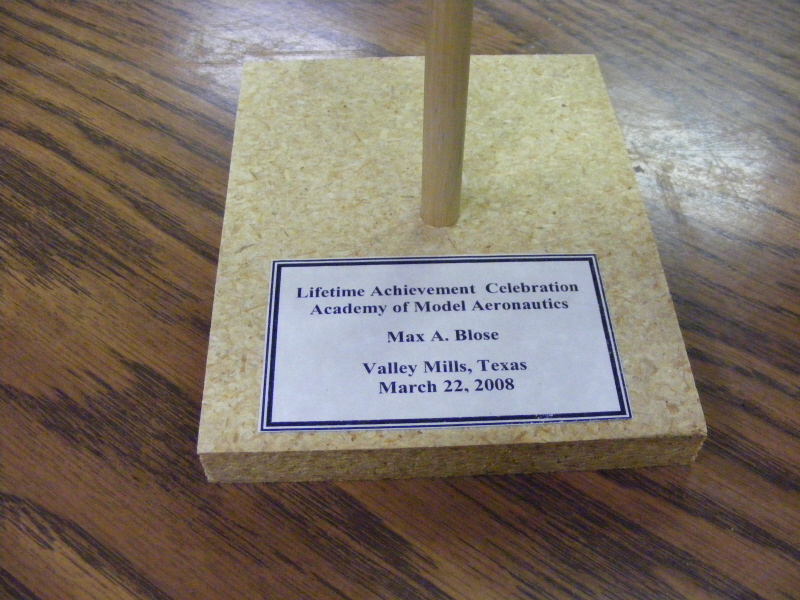 This is the highest award given by AMA. 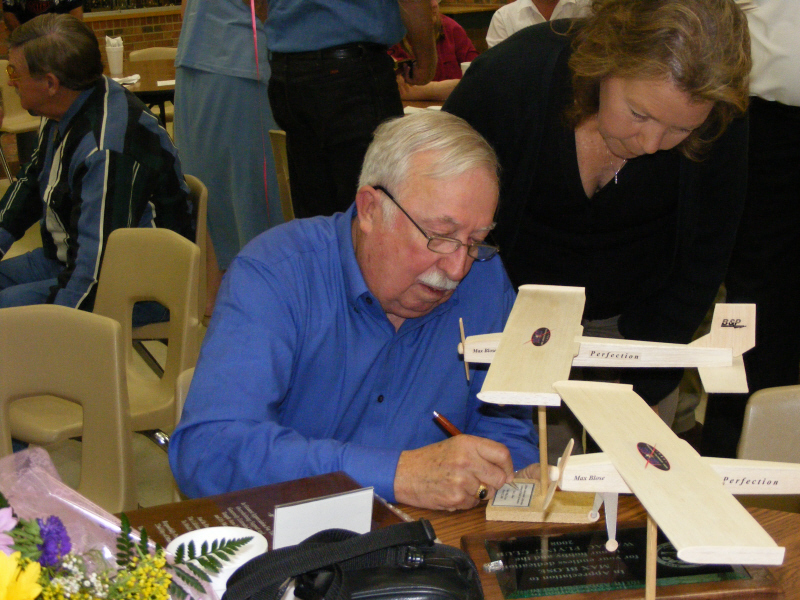 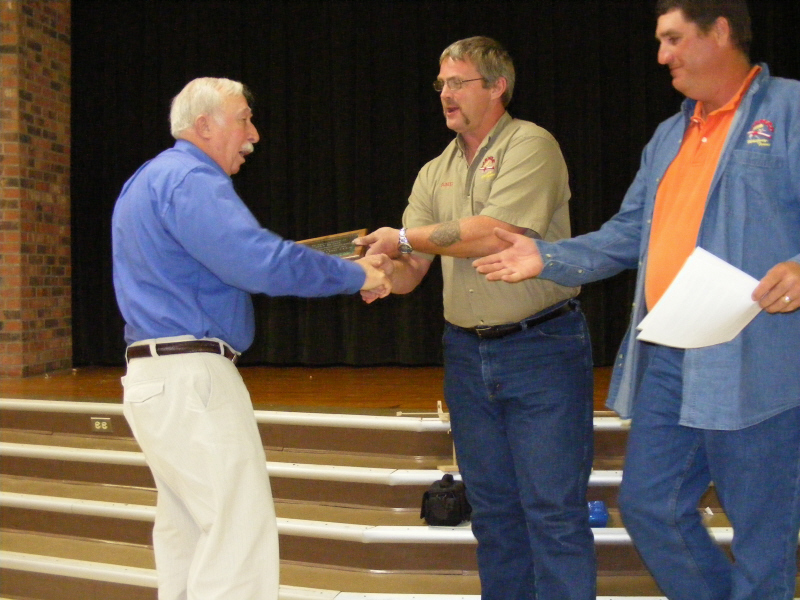 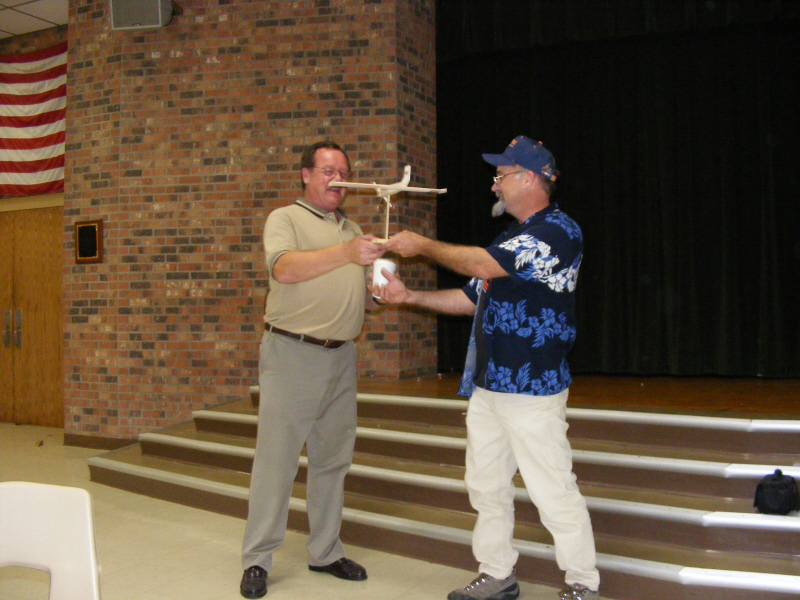 Max was also given awards of appreciation for his years of friendship and support from Austin Radio Control Association, Temple Aeromodelers, and Whitney Area Miniature Aircraft Club. 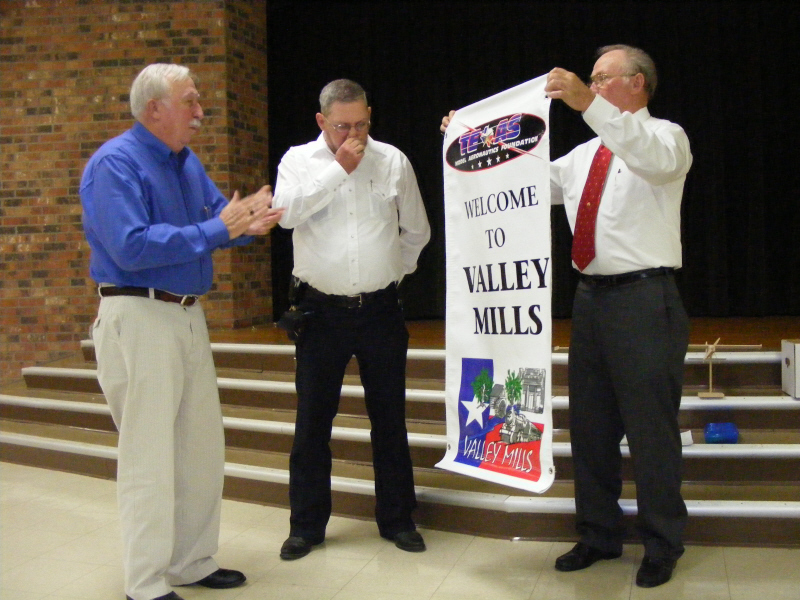 Mayor Rodney Nichols presented a banner to Max with the city of Valley Mills and TMAF logos combined. 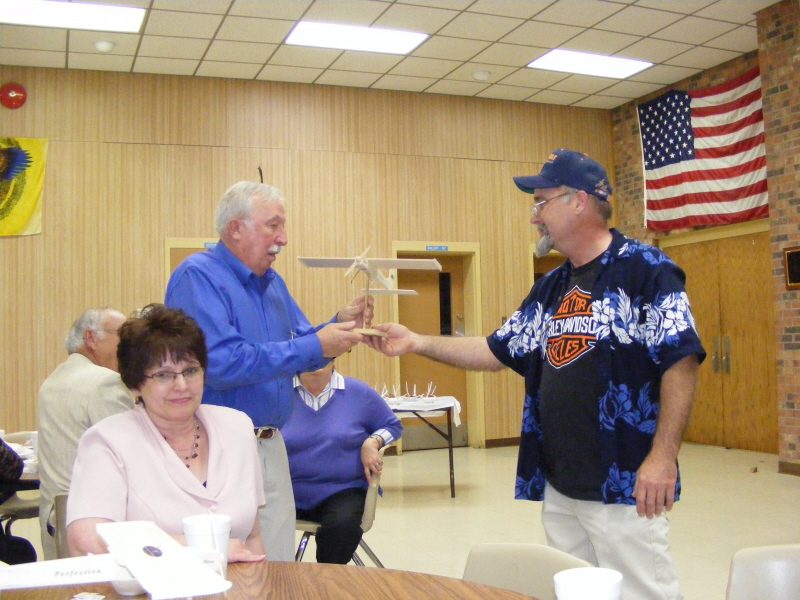 He was also given a clock made by police chief Tommy Roach, which replicated the banner. 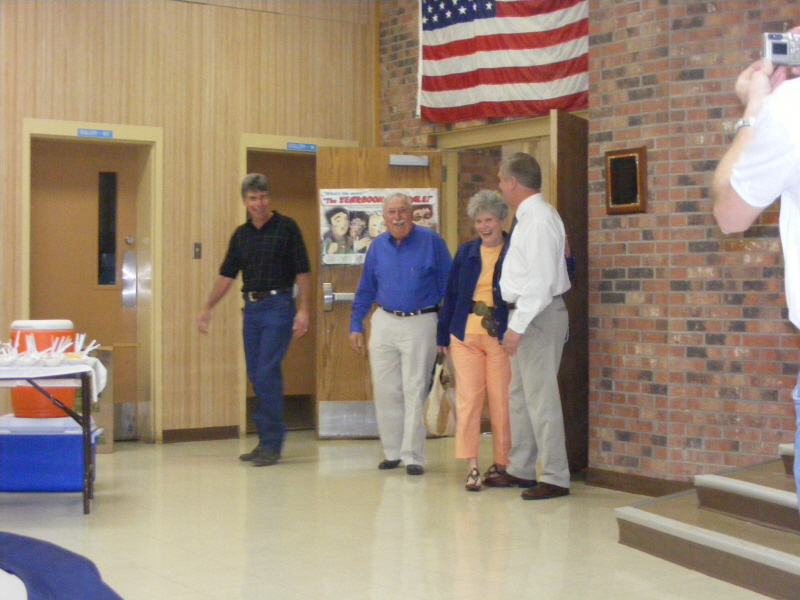 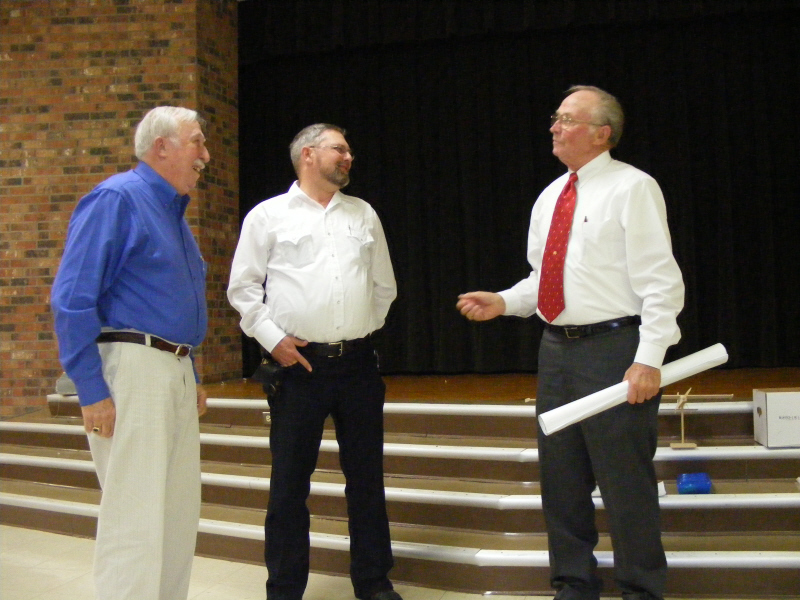 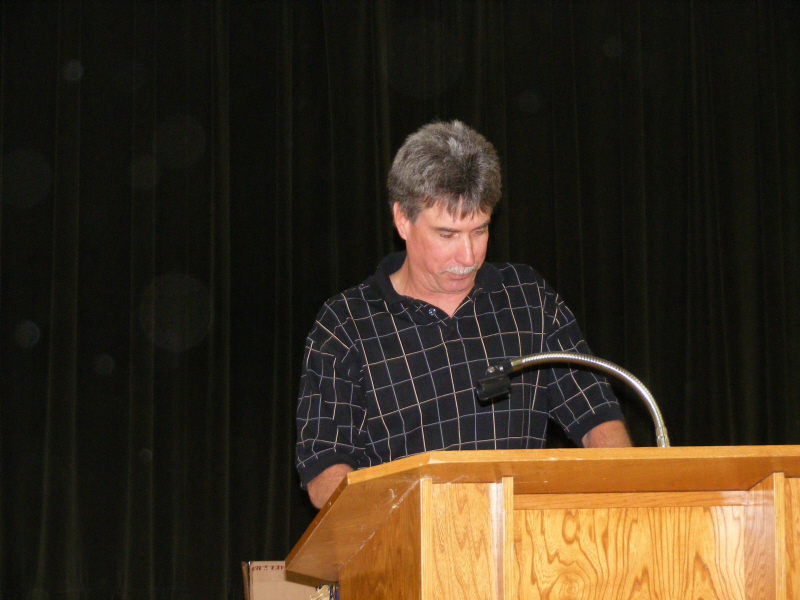 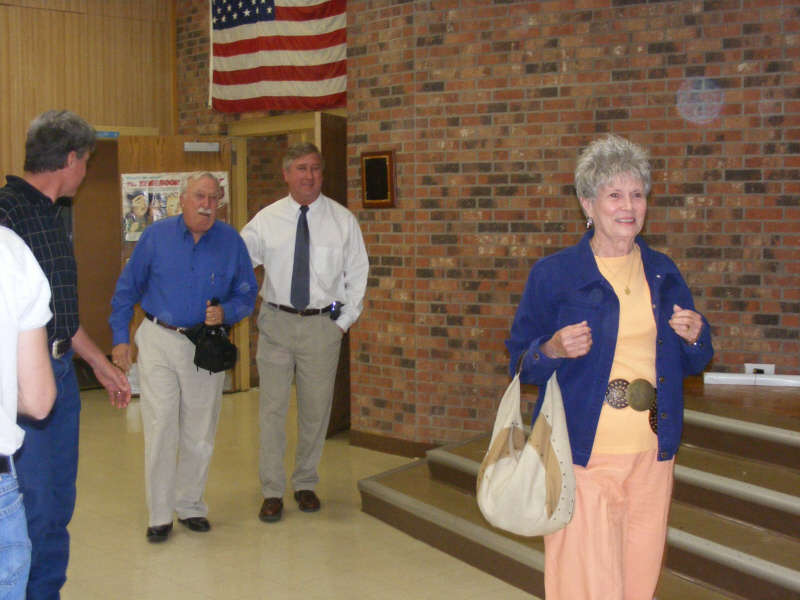 The dinner was held at the Valley Mills High School cafeteria and had a total of 110 guests. 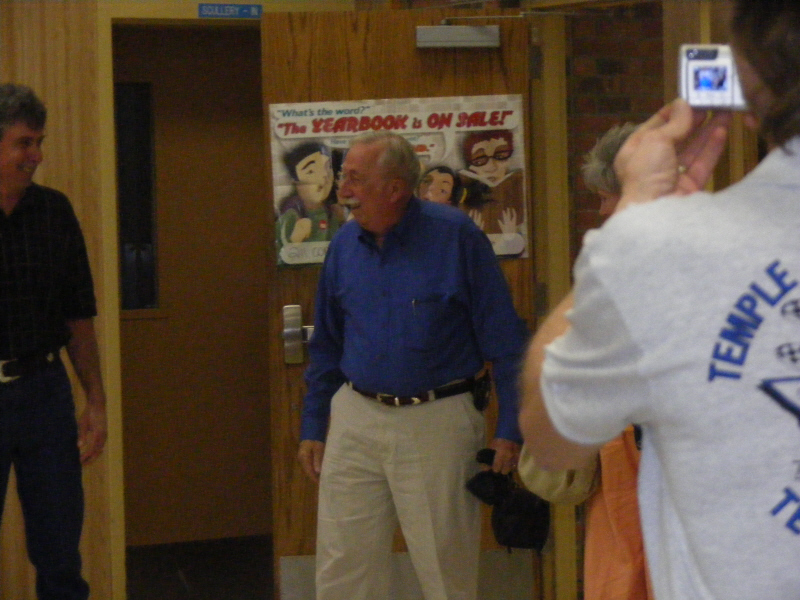 With the help of Doug Staines, Bob Cervenka, Todd Blose and John Hill, we were able to keep Max in the dark about the dinner until he walked through the door. 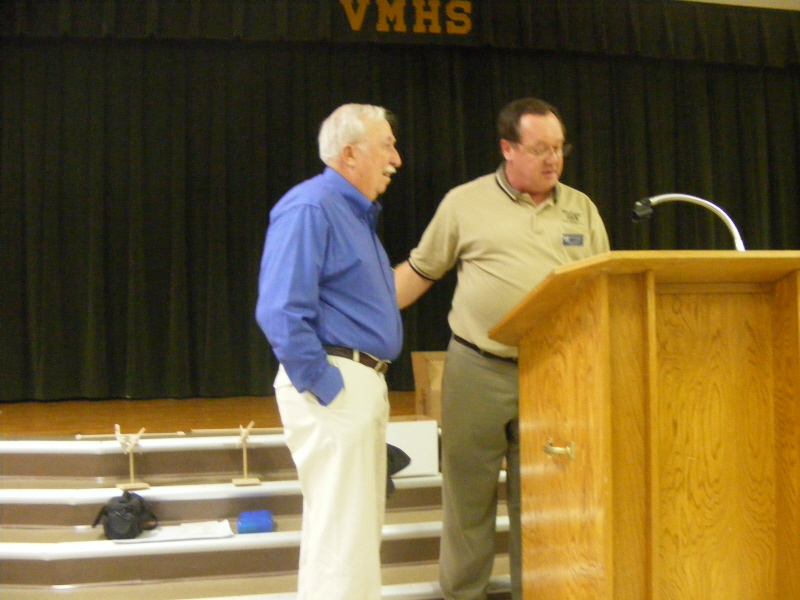 We would like to thank the city of Valley Mills for their hospitality and allowing TMAF to have the dinner at the High School.Thank you also to Curtis Wiethorn for doing such a great job catering the event.